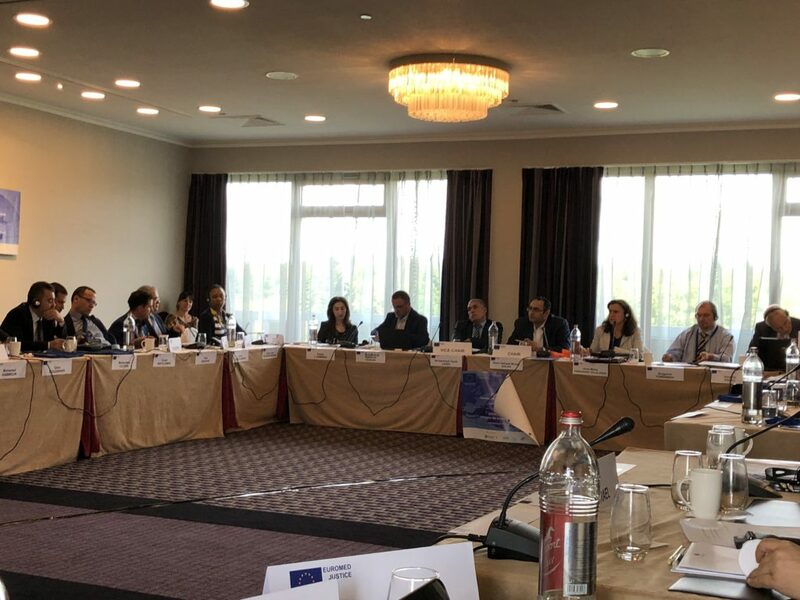 On 20-21 June, Tobias Freeman, Senior Legal Officer of the Siracusa International Institute for Criminal Justice and Human Rights, participated in the 7th CrimEx Session of EuroMed Justice. This is a programme funded by the European Union. The programme’s overall objective is to contribute to the development of a Euro-Mediterranean area of cooperation in the field of justice and of effective, efficient and democratic justice systems, the European Union, alongside the Project’s Partner Countries from the Southern Neighbourhood, namely: the People’s Democratic Republic of Algeria, the Arab Republic of Egypt, Israel, the Kingdom of Jordan, Lebanon, Libya, the Kingdom of Morocco, Palestine and the Republic of Tunisia. The Siracusa International Institute is an active collaborator in the current phase of the project, together with two of its longstanding partners, the UN Office on Drugs and Crime and the International Association of Prosecutors. In addition, the project involves the European Judicial Training Network, the United Nations Counter-Terrorism Executive Directorate and the Council of Europe, among many other key regional and international stakeholders. The 7th session of the EuroMed Justice Expert Group in Criminal Matters (CrimEx) concerned the prioritisation of the needs for judicial training in international and EU standards in the field of mutual legal assistance and judicial cooperation in criminal matters.